A Cabo wedding says luxury from start to finish. No detail is overlooked and this includes the cake! Stylish, carefully designed cakes are an essential piece to the overall look of your wedding, and the colorful possibilities are practically endless! Cabo wedding beach cakes can be especially stunning with tropical or soft blue hues and creative beach or travel-themed designs. 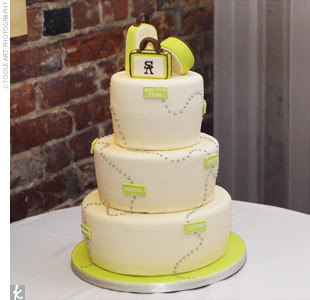 I've collected a few of my favorite cakes from TheKnot.com - hopefully they can inspire you! 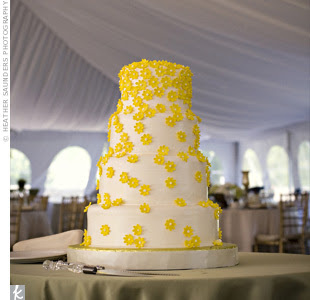 Delicate yellow flowers cascade down a white background on this simple, yet elegant four tiered cake. This look can perfectly complement a beach themed wedding since it can match with a wide variety of colors. Try light blue or even bold red accents for the rest of your wedding decorations to really make your cake stand out! This whimsical cake is perfect for the couple that has a penchant for travel. The adorable suitcase topper and dotted map lines give the cake a modern feel while the fun but subtle color scheme doesn't make it too over the top. For a classic luxury feel, go with royal colors such as this ruby red, and an elegant design like the swirls or mini dot clusters. The ribbons at the base of each tier is a popular cake accent and give it a sleek and sophisticated finish. A slight variation on each tier is a great way to give the cake a design that leaves an impression without making it too busy. This cake was tailored to the bride, as her nickname growing up was "ladybug". Personal touches on a cake can make it very special and with a little creative twist, you're sure to have the perfect cake. As you may have noticed, when it comes to Cabo wedding cakes, simple is best. 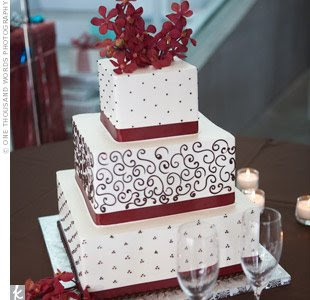 By using only a few colors with a chic design, your cake will mesh flawlessly with the rest of your wedding. 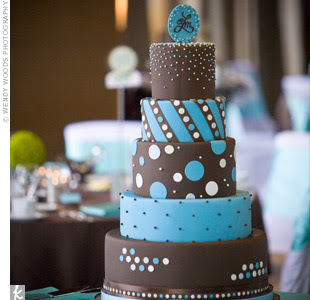 This cake is a great example of how only a few colors can go a long way. If you want your cake to be a bit more fun and funky, pick three basic colors and a basic shape and let your creative mind mix them up between the tiers. Dots and other geometric shapes make for a cake that's cute, modern and still sleek. Typically, I don't like Cabo wedding cakes that are gung-ho on the beach theme , with shells and starfish everywhere, but this cake does it so tastefully that I had to include it. 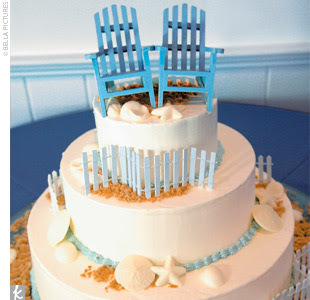 The Adirondack chairs on top give it a unique twist and the light blue matches well with the brown sugar sand. Intresting text. You have a nice blog. Keep it up!!!!!!! Wonderful cakes.....I love your posting. Hello, I like your post and collection of pictures and good things should be appreciated. Are you belongs to hotels industry? Aww, these cakes are adorable! The attention to detail is delightful. That was really tempting. Beautiful cakes and seems to be very delicious. 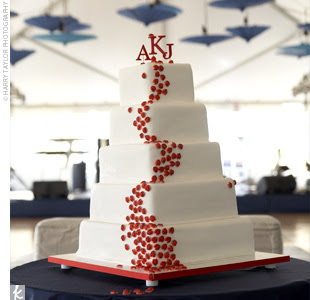 For me, the best cake would be the AKJ cake. Where can I probably order it. I want that cake to be my present to my sister's wedding. Madagascar (Not the Movie): A Luxury Travel Destination?